Bixi has been something of a poster child for social enterprise. It is a nonprofit with local public backing pursuing a global social agenda through a business enterprise. This nonprofit is behind the bike-sharing programs in New York City, Melbourne, San Francisco, Chicago, Toronto, and many other cities. It successfully helped to establish roots for bike sharing, with 37,000 bikes in use around the world, but now it has filed for bankruptcy protection. 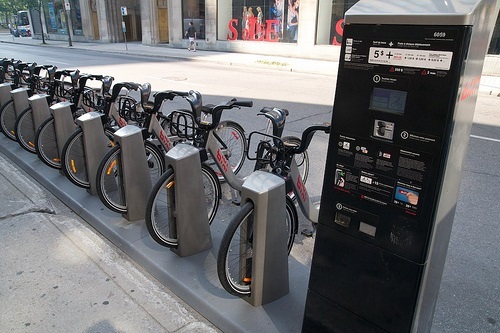 Bixi owes Montreal about $40 million in loans, which the city is now calling in, and it is estimated that the nonprofit owes its suppliers about $9 million. Still, although the organization has run into a wall, the programs it engendered will not. The New York Times took a look at the financial basis of the bankruptcy and it focuses on the confusion that prevailed in the company’s plethora of relationships with partners and sites. This may have led to the company overextending on a project meant to modify the software that handles payments and the monitoring of bikes. In looking at the media coverage of the situation, speculation about what or who is at fault is all over the place. There are also those who would see this as a cautionary tale for government involvement in such stuff.